Over Packing is what most of the traveller do. It starts with over thinking and ends with you being tired of lugging those unnecessary clothes around. All you have to do is to pack smart. Colour coordinate your dress so you can wear a single pair of shoes with 2 or 3 of your dresses. Roll your clothes instead of folding them to spare the space for that 1 dress for an unforeseen special event. 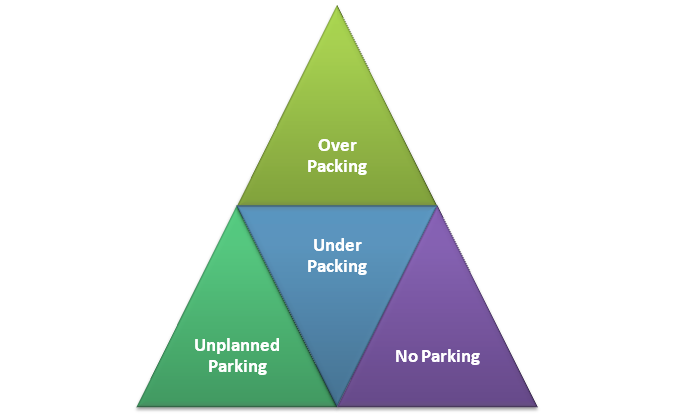 Under Packing is commonly caused by carelessness. Impromptu travelling is good, fun and adventure but impromptu packing is a disaster. Not having a dress that matches your shoes or a bag that goes with your outfit. So, packing smart will due diligence is how you manage it. Unplanned Parking is how you ruin a vacation before it’s even started. Nobody has hours to waste circling the on-airport lots for a place that is vacant and safe. Then you have to drag your luggage all the way to the terminal while paying a lot of money for it. No Parking at all would be a nice solution out of this mess. All you do is to book airport car parking UK and then drive to your terminal directly and leave your car with your appointed attendant for safe keeping and head for departure. Same goes on your return. You collect your baggage and head for the meet up spot where your vehicle will be delivered to you safely. So, pack smart and plan your parking in advance carefully so that you don’t have to risk the fun and comfort of a wonderful vacation.